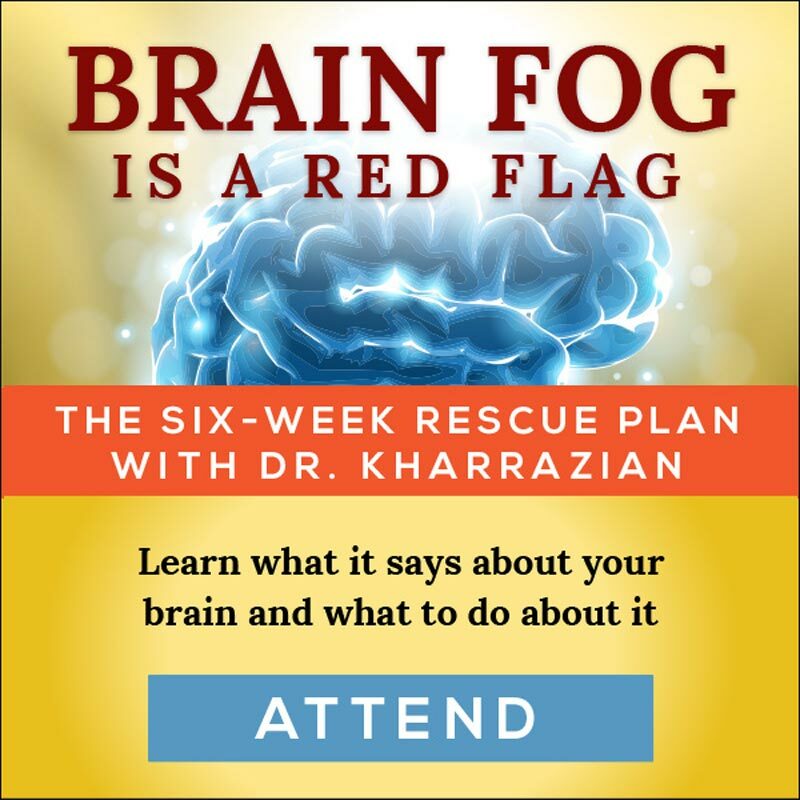 In this seven-minute video, Dr. Kharrazian talks about how Hashimoto’s can accelerate brain degeneration. Depression, fatigue, brain fog and other brain symptoms are being found to be more brain-based as secondary to Hashimoto’s. 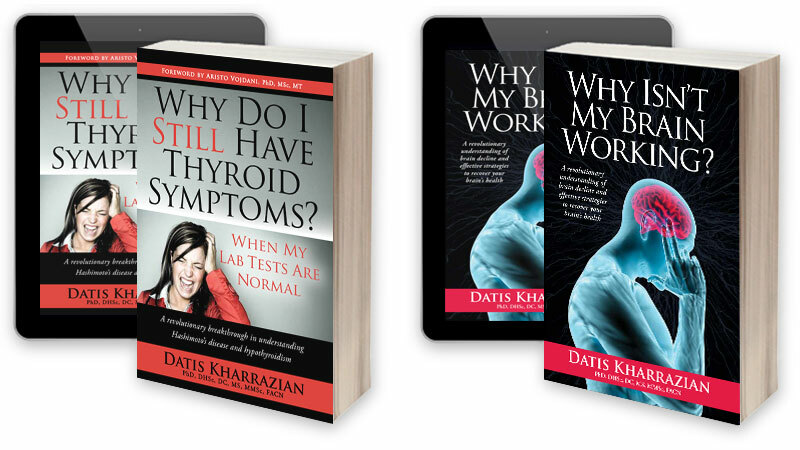 These are just a few of the topics Dr. Kharrazian covers. Watch the video to learn more. If you would like to learn how best to manage and improve your brain health when you have Hashimoto’s, check out the course Save Your Brain: The Six-Week Rescue Plan. 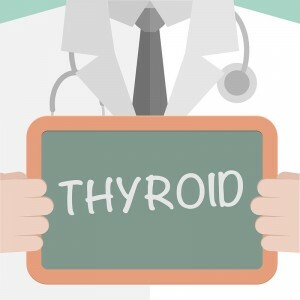 In the standard health care model, treatment for autoimmune Hashimoto’s is aimed at lowering TSH (thyroid stimulating hormone) via hormone replacement. That’s it. As many Hashimoto’s patients know, that won’t get you far in functioning and feeling better. In the functional medicine model, we understand Hashimoto’s is a complex autoimmune condition that requires a much broader approach. Various factors can prevent a Hashimoto’s patients from getting better. If you have Hashimoto’s, you know to eat a gluten-free diet. But are you really gluten-free? If you eat gluten once in while, you are not gluten free; your body can react to a gluten exposure up to a whopping six months after ingestion. Some medications have hidden gluten — check the labels. Eating at restaurants is tricky too as not all chefs are careful to avoid contaminating so-called gluten-free menu options with gluten. Though a gluten-free diet is key, eating foods that cross-react with gluten may sabotage recovery. Cross-reactive foods have proteins similar in structure to gluten and can trigger the same immune response as if you were eating gluten. People with autoimmune diseases such as Hashimoto’s often exhibit a dominance in either the TH-1 or TH-2 arms of the immune system. TH-1 is the immediate immune reaction, such as pus that forms around a splinter. TH-2 is the delayed response that creates antibodies. Certain nutritional compounds can boost either one of these systems. For instance, Echinacea boosts TH-1 while green tea boosts TH-2. This can make your autoimmune symptoms better or worse depending on your TH dominance. I talk about that more in my thyroid book. You can do all sorts of things to quell your autoimmune response, but if you don’t truly manage your stress level, it’s a moot point. Stress drives the immune system and increases inflammation, which lies at the root of autoimmune symptoms. Stress isn’t only from being late to work or worrying about bills—emotional stress matters, too. CHECK OUT: Why do I have brain fog all the time? Any well-informed Hashimoto’s patient knows diet is key for reducing inflammation and quelling the autoimmune “fire.” But even with proper foods, if you have imbalanced blood sugar, your anti-inflammatory diet won’t do you much good. Keeping blood sugar stable is important not only for energy levels and immune balance, but especially for brain health, a key consideration for Hashimoto’s patients. For more details, please see a longer article on the topic here. Thank you for sending me so many opportunities to participate in your six-week plan. I have read both of your books and am super impressed. I have celiac and hasimotos disease plus many, many allergies. I would love to attend but as a 73 year old single woman who is living on a retirement income you have priced the course way out of any possibility for me. I totally agree with your article, especially the good diet, bad habits part at the end. Very important to get this sorted as soon as you can. I’ve been diagnosed with Hashimoto’s disease (elevated Thyroid antibodies) and recently had an Ultrasound done on my thyroid, but my thyroid is GONE! I also have increased antibodies with my Blood-Brain Barrier, and am concerned that the antibodies will destroy it. I’ve been tested for Gluten intolerance, and it came back negative. I tested for both of these through Cyrex labs. I take nutritional supplements, eat mostly healthy, whole foods and limited red meat, exercise and do puzzles and reading to keep my brain active. A year ago, an upper GI indicated that my Stomach & Esophagus were inflamed, which causes me to wonder what other areas of my body are inflamed. I’ve read the entire second book, “Why Isn’t My Brain Working”, but it doesn’t appear to address increased antibodies of the Brain / Blood-Brain Barrier, nor inflammation of specific areas of the body. I’m desperate to find out what is really going on with my body, and want to know whether there are ways to stop the increased antibodies and inflammation. Also, I tried to access the Banish Brain Fog sessions, but get a message that registration is closed. How can I get the information from that program? Will another program be setup soon? Carol; Dr. Kharrazian plans to offer the course again, but dates are not yet set. We’ll announce them via our newsletter and on the website. To sign up for the newsletter, just go to the [sign-up widget on the blog](https://drknews.com/) and enter your email address. Thanks for your interest in the course, and we hope you will join us next time around! Dr. K can’t do consultations via email or blog; your best bet on figuring out what to do next would be to consult with a practitioner trained in the protocols. On the link below are practitioners who are highly trained in Dr. Kharrazian’s protocols, and also teach for him. Some of them may be willing to practice remotely; you would need to contact them individually to find out. Carol; Dr. Kharrazian plans to offer the course again, but dates are not yet set. We’ll announce them via the newsletter and on the website. To sign up for the newsletter, just go to the [sign-up widget on the blog](https://drknews.com/) and enter your email address. Thanks for your interest in the course, and we hope you will join us next time around! So you know, it is based on the book; it guides you through the protocols, step by step, with some added info. Regarding the brain antibodies; that would be a difficult question to address specifically without labs and assessment in person by a practitioner. 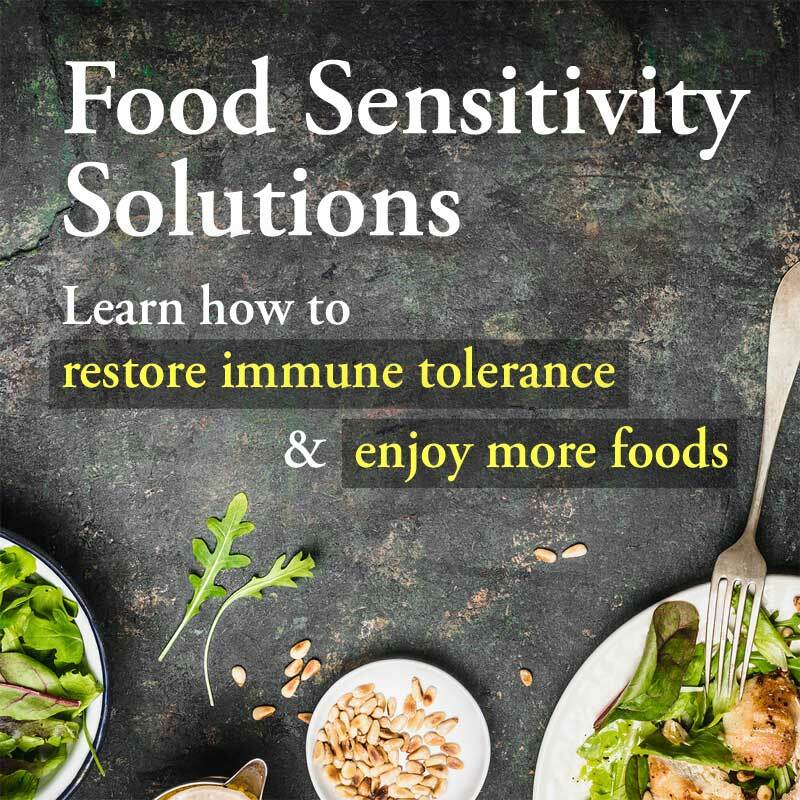 However, in general, inflammation anywhere in the body is going to respond to anti-inflammatory protocols; the protocols in the brain book are aimed at reducing brain inflammation, as it’s at the core of most brain issues. I’d encourage you to really take on the protocols in the book, and if you can wait, also join the next round of the brain course. PLEASE help me find a functioning practitioner in South Africa who can help with my very sick 14 year old daughter with Hashimoto Thyroiditis. PLEASE!!!! I was diagnosed with Hashimoto’s disease several years ago after being symptomatic for a number of years. Earlier this year I was diagnosed with a benign brain tumor, which has subsequently been removed. After watching your thyroid video, I am wondering if there is any correlation between the two. Sue; Sorry, but there could be many factors involved, and without an exam and labs, it’s not possible to know. Very good article on hashimoto’s & the importance of how gluten can play a big part. We liked your articlle so much we shared the link here for our readers https://www.facebook.com/thyroidhormonesupport/. Dave – thanks for sharing the link! My Neuro is telling me i have antibodies against GABA. I have shaking muscles, hearing loss and extreme fatique every day. I don´t feel that the medication is helping me in any way. John – If you are seeing a practitioner who knows to test for GAD antibodies, you are on the right track. If you are referring to thyroid medication, that’s not something meant to directly affect the GAD situation. I’d encourage you to ask your practitioner to explain GAD in more depth. Hopefully you are already off gluten, and if not you should do so right away. 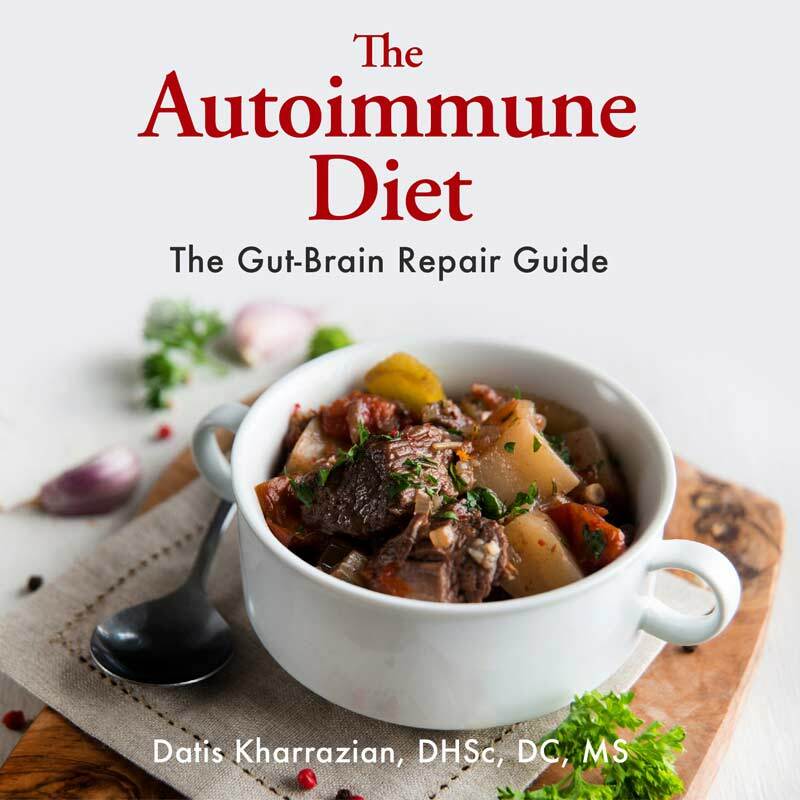 If you want to learn more about GAD, check out Dr. Kharrazian’s book “Why Isn’t My Brain Working”. If you get the kindle version, you can search via keyword. Dr. Kharrazian is stating in his book that neuron death is permanent, but in this TED Talk i have seen that neurons indeed can regrow https://www.youtube.com/watch?v=B_tjKYvEziI This is a pretty new discoverage, so i think this changes a lot. I would love to hear what Dr. K has to say about this! Sorry your comment got overlooked. The video you linked talks about neuron growth in the hippocampus; that’s the one region of the brain that research has shown can form new neurons. Dr. Kharrazian is indeed aware of that.